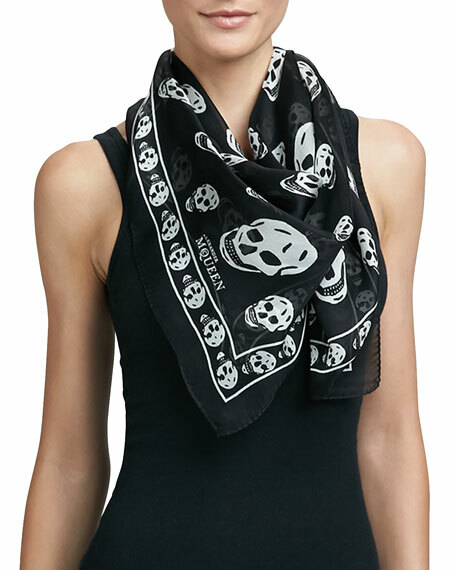 Signature skulls bedeck this chiffon Alexander McQueen scarfadding delightfully dark appeal that looks fresh in lieu of a necklace. 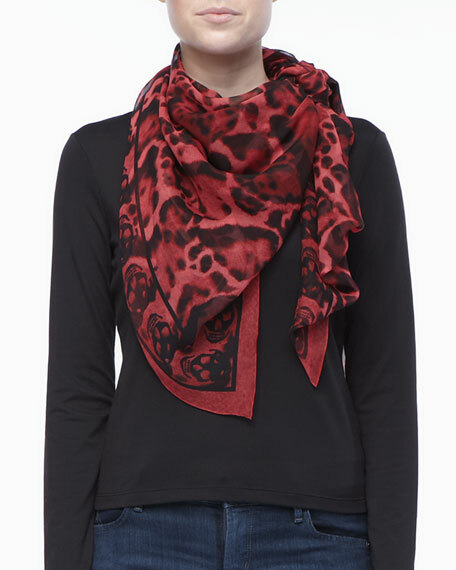 Iconic Alexander McQueen scarf with signature skull print. Ample size offers many ways to drape, wrap, and knot. Approx. 47"L x 41"W (120 x 104 cm). For in-store inquiries, use sku #220761. 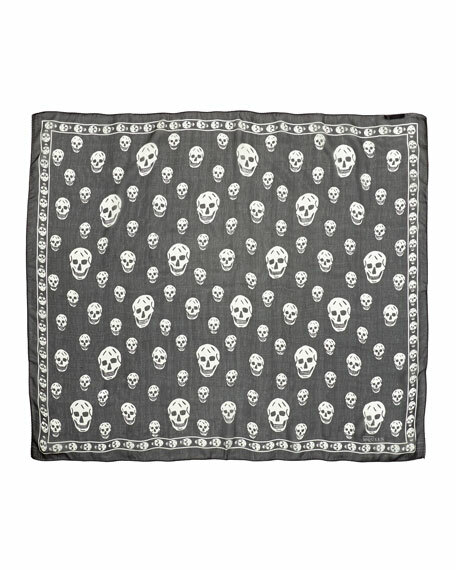 Alexander McQueen silk chiffon scarf in allover skull pattern. Approx. 47"L x 41"W (120 x 104cm). Lightweight, seasonless fabric. May be styled multiple ways. Finished edges. Made in Italy. 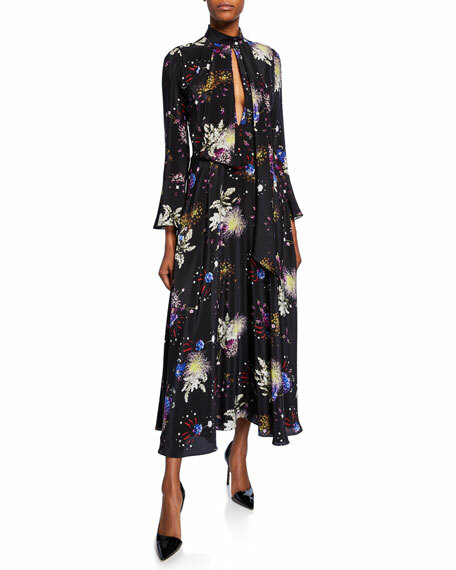 Mary Katrantzou dress in firework floral print chiffon. 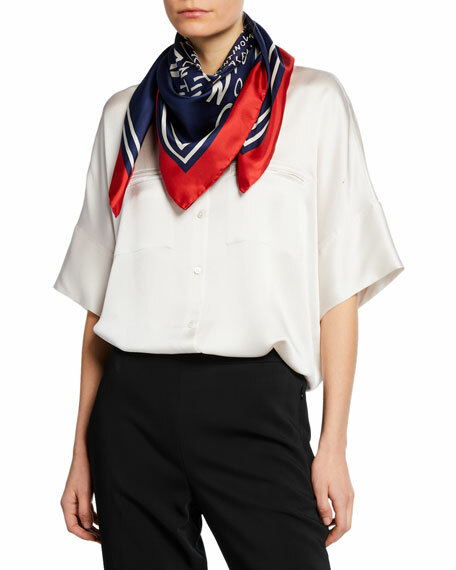 Mock neckline with scarf detail. Center keyhole on bodice. Bracelet sleeves. Flowy A-line silhouette. Midi length. Silk. Polyester lining. Made in Italy. 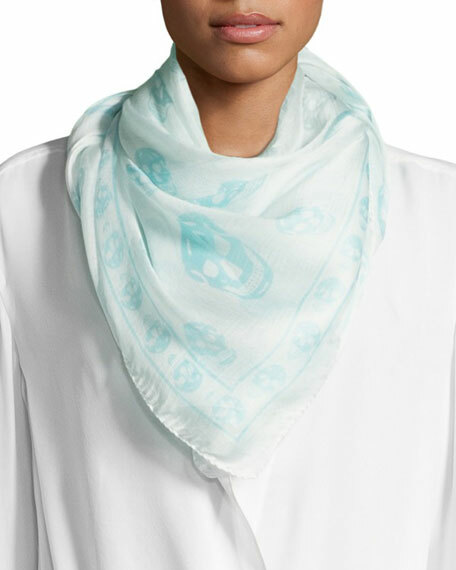 Valentino chevron logo-print foulard scarf with contrast border. Approx. 35.4" (90cm) square. Lightweight, seasonless fabric. May be styled multiple ways. Silk. Made in Italy.